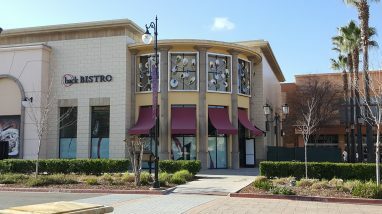 Hey Folks, Heard Around Folsom’s got some tips for a great weekend… The Back Bistro is now open in their new location at the Palladio Center. Congrats to Jeff and Gail Back for successfully serving outstanding food, wine, cocktails and company for 10 years! They’re next door to the movie theater, making it great for a dinner-and-a-movie date. Late night happy hour, too… Wanna see some spectacular gardens and get some great tips? The annual Folsom Garden Tour is happening Saturday and Sunday. Tickets are reasonably priced, and they will have plants for sale along with master gardeners on hand to tell you how to not kill them, and of course, their famous bake sale as well… For something completely different, visit one of Folsom’s best kept secrets, the Sutter Street Theater . This little theater company puts on outstanding plays and musicals. Right now, through Sunday, you can check out Murder on the Nile… In the news, City Manager Evert Palmer has announced his retirement, after working for the city for over 22 years. He’s a great guy, and has helped guide Folsom’s growth into the the beautiful little city you know and love today. He’s a big supporter of the arts, and from what I hear, a pretty good guitarist. Best to you, Evert!… On the real estate front, housing inventory has increased slightly, with 103 homes for sale in Folsom, plus 5 condos. Not enough to meet the demand, but we should see more folks listing now that the weather is better and the traditional buying season is starting… Speaking of better weather, Folsom looks great on sunny spring days, and if you get a chance, take a walk, bike, jog, kayak or paddle board along Folsom Lake or Lake Natoma. Trees are full, lots of wildflowers and wildlife… Go out and enjoy!